It does when you look at it. Hang on. I don't know what you mean. It looks like a drawing. Why would they do this? Possibly the most iconic ship in film. 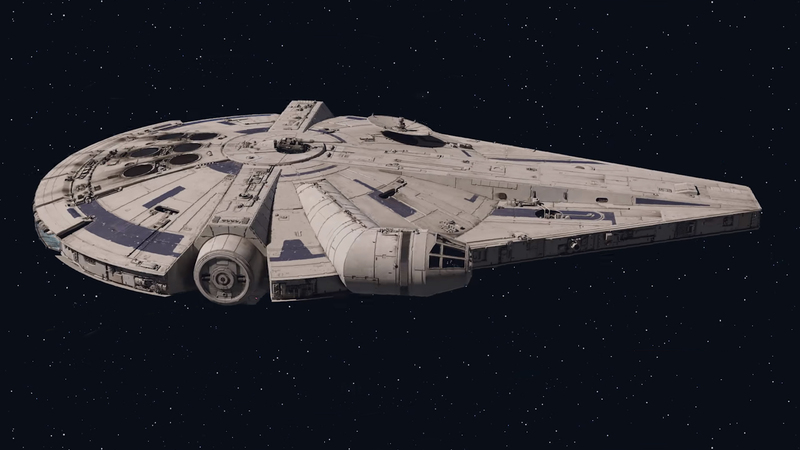 Maybe it's a different Correlian ship that's just the same style as the Falcon. Not that I give two squirts of piss any more. This is literally better than the Last Jedi. I'm not joking. The passing of a family member is better than TLJ. Still can't get into this.